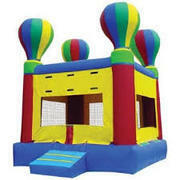 Bounce Houses (inflatable castles, closed inflatable trampolines, bouncy houses, bouncy castles, moon bounce, moonwalks, or CITs) are portable inflatable structures and buildings and similar items that are used for children entertainment at functions, school and church festivals and village fetes.The first inflatable structure was designed in 1959 by John Scurlock in Shreveport, Louisiana who was experimenting with inflatable covers for tennis courts when he noticed his employees enjoyed jumping on the covers. 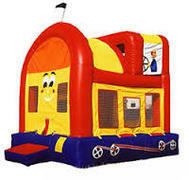 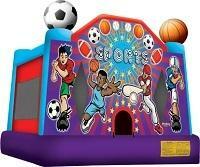 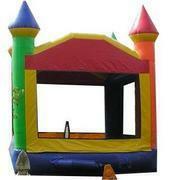 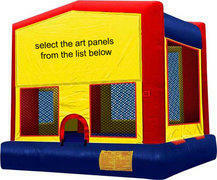 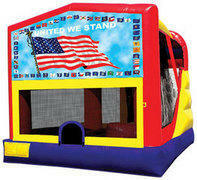 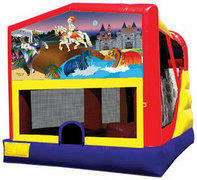 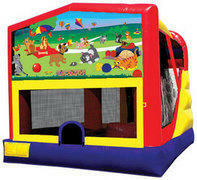 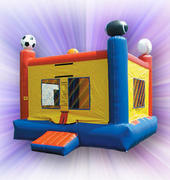 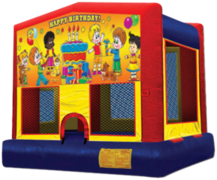 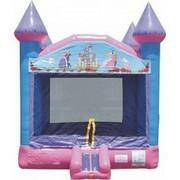 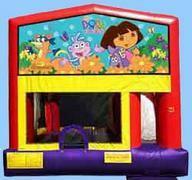 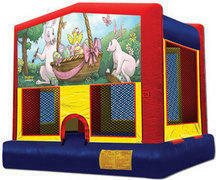 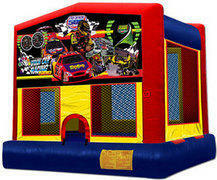 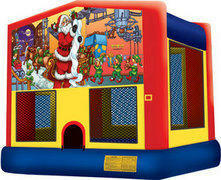 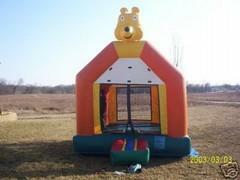 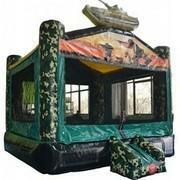 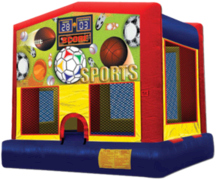 The modern inflatable castles are made of vinyl and can weigh 200 pounds to over a 1000 pounds. 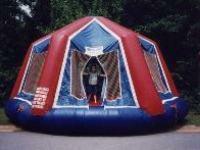 The 1975 Neiman Marcus catalog included a closed inflatable trampoline called 'The Moonwalk'. 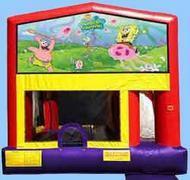 Silly string can damage the vinyl. 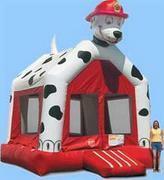 The name given to such structures varies. 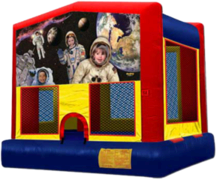 They have been marketed with such names as "Bounce House", "Bouncies","Moon Bounce", "Boingalow", "Astrojump", "Moonwalk", "Jolly Jump" and "Spacewalk". 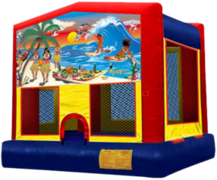 "Brinca brinca", another name commonly used by Latinos, is Spanish for "jump jump". 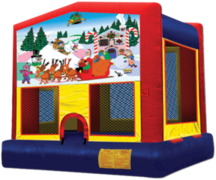 The term "Jolly Jumps" is often used to describe the inflatable playground structure in rural areas and some areas in the Western United States, but the term is otherwise obsolete. 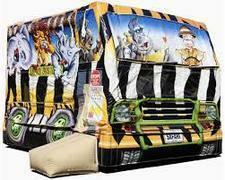 Some blowers are gas powered. 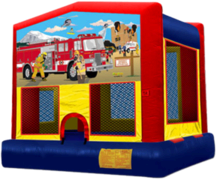 **all information obtained from wikipedia.